Marshall Middle School in Janesville has been chosen to receive $500 to support its Fuel Up to Play 60 initiative. Marshall was selected from several schools that applied for funding across the state to help them jump-start and sustain healthy nutrition and physical activity improvements. Wisconsin schools are eligible to receive up to $1,000 to help them increase awareness of and access to nutrient-rich foods and physical activity opportunities for students. Funding for this competitive program is provided by the Wisconsin Milk Marketing Board through Wisconsin’s dairy farmers. Fuel Up to Play 60 is an in-school nutrition and physical activity program launched by the National Dairy Council (NDC) and the National Football League (NFL), with additional partnership support from the U.S. Department of Agriculture (USDA). The program encourages youth to consume nutrient-rich foods (low-fat and fat-free dairy, fruits, vegetables, lean proteins and whole grains) and achieve at least 60 minutes of physical activity every day. Funds for Fuel Up to Play 60 provide support for a variety of activities and tools, such as foodservice materials and taste-testing supplies, nutrition and physical education equipment. More than 70,000 schools across the United States are participating in Fuel Up to Play 60. Fuel Up to Play 60 is designed to engage and empower youth to take action for their own health by implementing long-term, positive changes for themselves and their schools. “Fuel Up to Play 60 has really taken off in Wisconsin. Wellness champions and students in more than 1,700 schools have embraced the program, and these funds will help many of the participating schools to do even more,” said Laura Wilford, Director, Wisconsin Dairy Council. As we begin another exciting school year, I want to mention a few things that are having a positive impact on our school community! New This Year! I would also like to introduce our NEW STAFF members, who come to Marshall with a plethora of experiences. Ashby Hibbs - Physical Ed. Picking Up and Drop Off- We are in this together. Did you know that 90% of our student population lives < 2.0 miles from school? That means a large number of cars on campus in the AM and PM. At one point, a study was conducted that there were over 600 cars that come onto campus on a given morning. As a result, we need the drivers to and from school to be SAFE, RESPECTFUL and RESPONSIBLE! Please follow posted signs and be patient! Student Safety is our TOP priority! Please help us by playing and active role in obtaining that goal. Attendance—We are in this together. The middle school experience is an exciting one. Your son or daughter will go through tremendous changes during their 6th, 7th, and 8th grade years. Therefore, their attendance is critical. Please make sure you inform your child that school begins at 8:00am. Students are expected to be in their seat and ready to learn at 8:00am. Students who are marked late or tardy can face serious consequences. Please help us reinforce this expectation. Students need to be at school at all costs for their own successful development. Thank you in advance for your cooperation! I would like to take a minute and welcome back all of our students and families to the 2018-19 school year. We have gotten off to a very positive start! I want to share with you some of the teaching that the staff at Marshall does in regards to social and behavioral expectations of our students. Be Safe, Be Respectful, Be Responsible. Within the first full week of school, all students participated in a teaching/re-teaching of what Being Safe, Respectful, and Responsible looks like across all educational settings at Marshall. There are many activities and visuals present to remind us of those expectations while at school. Families also ask about other positive ways to stay or become connected to Marshall Middle School. There are many different opportunities to become involved including participating in an after school sport (we are currently in season1 , there are 5 seasons total). Joining a club such as Battle of the Books, Girls Who Code, Lego Robotics, BookLunch-Talk, Nicotine is Kids Enemy (NIKE), the Gay-Straight Alliance(GSA) and many more. We also have school sponsored events such as The Farmer’s Day Dance in October, Scoopie Nights, the Color Run, and many more. Any and all of these activities are great ways for students to broaden their experiences at Marshall. Finally, I want to conclude by saying Thank You to our families for your help in getting this year off to a positive start! My name is Daniel Jackson and I’m the dean of students here at Marshall Middle School. I look forward to serving our student population over the course of the 2108-19 academic school year, and I hope to make a positive impact in regards to ensuring that all students uphold the fundamental Cardinal principles of being Safe, Respectful, and Responsible. Currently, students are participating in our building wide Bullying & Harassment presentations facilitated by Mrs. Olin (student service specialist), Officer Olin (school resource officer), and myself. The overarching purpose of the presentations is to foster student awareness of the high prevalence of bullying and harassment situations that currently exist within our society and specifically within school districts nationwide. Furthermore, during the presentations students are taught the most relevant definitions for the various forms of bullying & harassment, as well as students are made aware of the significance of partaking in bullying/harassment type behavior. Lastly, students receive information regarding the consequences that may follow as a result of engaging in bullying/harassment type behavior, from both a school disciplinary standpoint and from a legal perspective. Remember that the cafeteria opens at 7:30 AM for breakfast club each morning. Students are to wait outside until they are let in by staff members. This is important because it helps us ensure that there is proper supervision for students when they are in the building. Please help to keep Marshall clean by putting trash in the proper places-especially in the lunchroom and the hallways. We have many staff members who work very hard to keep the building clean and when students do their part to be responsible for throwing trash away and keeping the building clean everyone in the building benefits. Remember the rules about responsible technology use and cell phones. Cell phone use is not permitted in the building unless specific permission is given by a staff member. Remember to travel safely through the hallways by walking and being mindful of others around you. Make every effort to be on-time and prepared for your classes. Not only does it show respect to your teachers, staff, and other students by doing so, but it allows students to participate fully in instruction and gives them the best chance to be successful. These are behaviors that not only promote success in the school setting but promote success in life in general. Parking, pick up and drop off are all hot topics at Marshall Middle School. I understand wanting to drop your child off and pick them up as close to the school as possible, but everyone needs to keep in mind there are 900+ others who also need to use the same lanes but not necessarily for drop off and pick up. All the lanes except, the lane on the North side of the building are actual Janesville streets. Please do not sit in one spot and hold up traffic. Everyone needs to realize the pickup and drop off lanes are for continuous movement. When cars stop in the lane of traffic because it appears there is no room it creates an unsafe environment. The stop sign at the southwest corner of the building is one area of concern. Many times I get complaints of cars sitting at this stop sign, waiting until the line moves and then moving into the line. Please keep in mind you cannot sit and block the flow of traffic at these stop signs. You have to remember not everyone is waiting to pick up someone and they need to turn to get back out to Pontiac Dr. I suggest pulling out and continuing in the left lane, so others can continue to leave if needed. Proceed to Pontiac Dr and then turn left and re-enter the drive between Marshall MS and Monroe Elementary. I can’t be everywhere at once and do try to get to that area to watch it. Some days are better than others but if we work together it is one area of concern that can be improved. The road that comes off of Milwaukee Street and up along the tennis courts is also a place parents tend to park and wait. This road is called Marshall Place. This also creates a very dangerous situation. Some cars will move into the oncoming lane of traffic to get around these cars. That is illegal, but it is also illegal to park in the lane of traffic. The pick up spot on the North side of the school is also designed to have continuous movement. Each car should enter the North side pickup area and proceed to an open spot. If there are no open spots then continue to Pontiac Dr and turn right. Go to Milwaukee St, turn right and go back to Marshall Place and proceed to do the same thing. Please yield to students crossing Pontiac St. in the crosswalk. Let’s all continue to work on this. I believe it won’t be as difficult as it seems and we will all be just fine. Remember it is about the safety of the students, of which one or more is yours and in the grand realm of things this is about a daily 15-minute problem. This year starts our 8th annual Cardinals for the Cure fundraiser. Over the past seven years we have raised over $10,000.00 that we donated to the UW Carbone Cancer Center. Some of our Special Education students have made paracord bracelets, magnets, coasters, necklaces, heating/cold packs, beaded bracelets, and many other items. Students also may purchase Cardinals for the Cure decals and backpacks during lunches in the month of October. Each year Marshall has a school wide Pink Out Day, the date this year is Friday, October 19 between 8 and 9AM. Staff and students will create a symbol of awareness on the field. The Special Education staff and students hand deliver a check to the UW Carbone Cancer Center at the end of October. Our goal is to raise $1,000.00 this year. We look forward to working together to support a cause that has touched so many lives. The first day of autumn is here & the mornings will be getting cooler when you are dropped off for school. Remember, since you have to wait outside until 7:30, please dress for the weather. Start out your school day right by having breakfast, to fuel your body & mind every morning, from 7:30-8:00 in the cafeteria. WILD WEDNESDAY’S with Wild Mikes Pizza. Join use for lunch every day AND especially on WEDNESDAY’S for Wild Mikes Pizza. You will be glad you did!!!!!!!! Student Council will host a fun Farmers Dance on Friday October 5. A lot of our Student Council members hard work go into the production of the dance. There is a DJ, hay rides, games and plenty of food! Stay tuned for more Student Council happenings! Please remember to continue to save pop tabs for our annual drive benefiting the Ronald McDonald House. What’s up with all the letters? Why do we need/want a GSA? Often times LGBTQ+ youth are marginalized and feel less connected to school, including not having trusted people they can talk to while there. These youths are at increased risk for having significant issues with ATODA, bullying, and poor school performance. We have students and families at MMS who are already working through LGBTQ related issues. What exactly is a GSA and what does it do? Although held at Marshall, Rec Nites are sponsored and operated by Janesville ‘s Leisure Services. They are in charge of supervision and policies related to Rec Nites. There are always several paid Leisure Services staff members at Rec Nite and parent volunteers are always encouraged to help out. Please contact Leisure Services if you would be able to help in the future. Questions? Please call 755-3030. The price to attend Rec Nite is now $6.00. Rec Nite goes from 7-9:00 PM. Please be sure to pick up your student at that time. NOTE THE ENDING TIME-9PM!!! Visit the Marshall Home Page! Marshall has something for everyone including a variety of athletic opportunities and other activities. Visit the Marshall home page for calendars, menus, schedules, activities, student services, and academic information. This is a great place for students and parents to gather information. Please note that the Cardinal Updates are now being directed through the MMS website. Please see the school website for any information/updates that you need. Please remember there are no cash purchases; all money must be deposited into lunch accounts by 10:00 a.m. Lunch money must be placed in the lunch deposit box in the main office or in the cafeteria. Students may bring money in an envelope from home, which should include the student’s full name, amount enclosed and grade. Helpful Hint: If your student brings money to school in an envelope from home, they do not have to wait in line to put it in the box. We continue to work together to make our middle school a place where learning is accomplished with as few distractions as possible. Students who are appropriately dressed for the school day assist in maintaining this kind of environment. Parents, in advance, we thank you for understanding our teachers and staff members are attempting to create a positive learning atmosphere. Please share with your students if they are approached by staff about their dress, the staff member is not “harassing” them. Rather, they are working hard to ensure your school is as free from distractions as possible. Thank you for your cooperation. When calling your student out of school for an illness, giving permission to leave school for an appointment or for a tardiness, please speak SLOWLY and SPELL the students last LAST NAME FIRST, then the FIRST NAME, followed by the grade, and reason for absence. When writing notes for student absences or for a student to leave the school for an appointment, please include the student’s first and last name, their grade, and reason for leaving school. Remember, if the last name is different from the parents please include the student’s last name. No student will be allowed to leave the school to walk home or ride his/her bike home for an appointment. ALL STUDENTS MUST BE SIGNED OUT BY A PARENT OR GUARDIAN. Arrangements for others to pick up must be made prior to the time when the student is leaving THIS IS A SCHOOL DISTRICT POLICY. We DO NOT stock any over-the-counter medicines. If you wish to send cough medicine, ibuprofen, Tylenol, or any over the counter medicine, the medicine must be in its original bottle and the Attendance Office must have a signed parent consent form on file. If we do not have the consent form, we will call home and the parent will need to come to school and administer the medicine to his/her student. All prescription medicines must be accompanied by a signed doctor's form AND a parent consent form. These forms can be obtained in the attendance office. We are not permitted to accept any other form. The school district policy requires all medicine whether over-thecounter or prescription to be only given out with a signed permission form. Finally, if your child is sick please tell them to come to the Attendance Office and call home. They are not to call home from classroom phones or using their cell phones. Ring the doorbell by door #23. Please face the camera. Expect to be greeted and asked “How we can help you?” Please state your name, your students name and the reason for your visit. You will either be directed to the Attendance Office to sign out your student or to the Main Office to sign in and receive a visitor’s pass. All visitors must stop in the Main Office to sign in and receive a visitor’s pass. PICKING YOUR CHILD UP BEFORE 3:23? If you are taking your child out of school before 3:23pm please either call ahead or send a note of excused absence with your child in the morning to the Attendance Office. When you ring the bell to pick up your student you will be asked if you notified us ahead of time. If you do not follow this procedure there may be a wait while we locate your child and they get their things to leave the building All students must be signed out in the Attendance Office. Thank you so much for following this procedure. Marshall Middle School is committed to creating a 21t century learning environment to provide equitable access to technology that will aide our students in becoming self-directed learners, collaborative team players, and information producers as well as information consumers. A few reminders…the student is responsible for keeping his or her device in their possession or properly securing it, at all times. Marshall Personnel are not responsible for the security or condition of student’s personal devices. Electronic devices are to be powered off or silenced during class time unless the teacher gives specific approval for use. The student must comply with the teacher’s request to refrain from using a device or to power down (turn off) the device. Failure to comply could lead to disciplinary action and/or temporary confiscation of the device. The student may not use any device to record, transmit or post photos/videos for personal use. Images, video, and audio files recorded at school may not be created/transmitted or posted at any time, without the expressed permission of a Marshall Middle School staff member. All users are required to utilize the District’s secured wireless network to access the Internet. All students must have a BYOD parent/guardian approval (signature) page on file to use a personal device at Marhsall Middle School. This includes students without permission as well. If the parent does not give permission for their student to have a device at school they need to fill in the line of approved devices as none or no permission. Please call the Assistant Principal’s office at 608-743-6204. REMEMBER….. NO CELL…BELL TO BELL… PERMISSION ONLY PHONE ZONE………..
Club’s Goals: The primary goal of the Human Relations Club is to make students and people aware of social injustices, and prejudices in our school and community. We also want to help every student develop to their fullest potential and realize their dreams. The Human Relations Club is dedicated to promoting student leader- ship to build intercultural relations within our local and global communities as well as promoting students interests. WE ASK YOU TO: Show respect Make good decisions Solve problems Accept and respect all club members and yourself. Have fun!!!!!!! The open enrollment application period for the 2019-2020 school year is from February 4, 2019 April 30, 2019. Parents are encouraged to apply on-line at dpi.wi.gov/open-enrollment. Although on-line application is recommended, paper applications may be obtained from the Department of Public Instruction or any school district after February 4, 2019 and must be delivered (hand-delivery is recommended) to the nonresident school district during the application period. Paper applications to attend Janesville must be submitted to the Open Enrollment Specialist in the New Student Enrollment Office no later than 4:00 p.m. on April 30th (a postmark does not constitute timely submission). Applications turned in prior to February 4th will be returned as not valid and must be resubmitted after February 4th but before April 30th at 4:00 p.m.
School District Residents If you have a child turning 5 (five) years old prior to September 1, 2019 and they are not currently enrolled in a School District of Janesville Pre-school for Janesville (P4J) or Early Childhood (EC) program it is time to enroll in the Janesville Public School District. Enrollment will take place at the Educational Services Center located at 527 S. Franklin St. (administration building) in the New Student Enrollment office. You may enroll anytime during the two week period. Requests for School Transfer/Placement within the School District (yellow forms) for incoming kindergarten students should be submitted through the enrollment process. Forms are available at all schools, as well as at the Educational Services Center. If you have questions regarding this process contact Deen Hartley at 743-5152. The status of requests will be determined by January 15, 2019 if they are turned in by December 14th. If you have a student currently attending a school under a School Transfer/Placement within the School District, it does not automatically qualify your kindergarten student for attendance at the same school; however, siblings are generally assigned to the same school. In order for your kindergarten student to attend the same school as a sibling, you must submit a request during the Kindergarten Enrollment time frame. Decisions about whether to cancel school are made in coordination with both the Janesville Transit System and the Van Galder Bus Company as well as the passage of city streets, safety of rural students and information from the county highway department and city street department. The final decision to delay or close rests with the Superintendent. If school is not cancelled and families do not feel it is safe for their child to come to school, then they should keep their children home. Families should remember to call in the absence to the school. The Superintendent will continue to have the option of delaying the start of school by an hour. If this occurs, the School District will continue to have special education, early childhood, and kindergarten classes. Elementary School class will begin at 9:20 a.m. and middle and high school classes will begin at 9:00 a.m. Universal Free Breakfast will be served on delayed start days. Infinite Campus will serve as our primary means of notification. We urge you to supply your student's school with your contact information and updates as changes occur. WCLO and additional radio and TV stations will be contacted regarding school closings or delays. Closing and delay information will be posted no later than 6:00 a.m. In order to keep district lines open for general operations we suggest parents not call the district for closing information. Our schools do not close early in an attempt to avoid incoming snow or ice storms. This decision is to protect children who may get home before their families and have no access or supervision at home. There also will be no athletic contests and no practices on days school is called off for weather reasons. The gyms will also be closed. Every precaution has been taken to protect students and staff members during periods of severe weather. Students and staff are made aware of predetermined areas of shelter to which they move during severe weather warnings. During times of weather warnings, students will be kept in their shelter areas beyond normal dismissal times and staff will remain with them. For safety reasons students will not be released until either the National Weather Service or local police or fire officials issue an “all clear” signal. Children will not be released to families during the time of a weather warning. Infinite Campus will serve as our primary means of notification to let parents know when students will be released. If you will be moving from your current home address, please contact the Marshall Student Servies Office at743-6226, as soon as possible, to determine what paperwork you will need to fill out for your child to continue attending his/her current school. Please note: if you are moving to an address outside the School District of Janesville in most cases your child is eligible to continue attending the School District of Janesville, as long as you complete the appropriate paperwork within the required timeline. If you have any questions about school placement for a particular address, please contact Open Enrollment Specialist, Deen Hartley @743-5152. If you are the parent of an elementary student and will be moving over the summer months when the elementary schools are closed, please contact Open Enrollment Specialist, Deen Hartley,743-5152 or the New Student Enrollment Office at 743-5072 or 743-5153 to complete the appropriate paperwork. The School District of Janesville is required to locate, identify, and evaluate all children, with disabilities, including children with disabilities attending private schools in the school district, and homeless children. The process of locating, identifying, and evaluating children with disabilities is known as child find. This agency conducts the following child find activities each year in the form of Early Childhood and Speech and Language Developmental Screenings. This notice informs parents of the records the school district will develop and maintain as part of its child find activities. This notice also informs parents of their rights regarding any records developed. The school district gathers personally identifiable information on any child who participates in child find activities. Parents, teachers, and other professionals provide information to the school related to the child’s academic performance, behavior, and health. This information is used to determine whether the child needs special education services. Personally identifiable information directly related to a child and maintained by the school is a pupil record. Pupil records include records maintained in any way including, but not limited to, computer storage media, video and audiotape, film, microfilm, and microfiche. Records maintained for personal use by a teacher and not available to others and records available only to persons involved in the psychological treatment of a child are not pupil records. The school district maintains several classes of pupil records. "Directory data" includes the student's name, address, telephone listing, date and place of birth, major field of study, participation in officially recognized activities and sports, weight and height of members of athletic teams, dates of attendance, photographs, degrees and awards received, and the name of the school most recently previously attended by the student. "Pupil physical health records" include basic health information about a pupil, including the pupil's immunization records, an emergency medical card, a log of first aid and medicine administered to the pupil, an athletic permit card, a record concerning the pupil's ability to participate in an education program, any required lead screening records, the results of any routine screening test, such as for hearing, vision or scoliosis, and any follow-up to the test, and any other basic health information, as determined by the state superintendent. Any pupil record relating to a pupil's physical health that is not a pupil physical health record is treated as a patient health care record under sections 146.81 to 146.84, Wisconsin Statutes. Any pupil record concerning HIV testing is treated as provided under section 252.15, Wisconsin Statutes. The right to consent to disclosures of personally identifiable information in the student's education records, except to the extent that federal and state law authorize disclosure without consent. The exceptions are stated in 34 CFR 99.31, Family Educational Rights and Privacy Act regulations; Sec. 9528, PL107-110, No Child Left Behind Act of 2001; and section 118.125(2)(a) to (m) and sub. (2m), Wisconsin Statutes. One exception that permits disclosure without consent is disclosures to school officials with legitimate educational interests. A school official is a person employed by the district as an administrator, supervisor, instructor, or support staff member (including health or medical staff and law enforcement unit personnel); a person serving on the school board; a person or company with whom the district has contracted to perform a special task (such as an attorney, auditor, medical consultant, or therapist); or a parent or student serving on an official committee, such as a disciplinary or grievance committee, or assisting another school official in performing his or her tasks. A school official has a legitimate educational interest if the official needs to review an education record in order to fulfill his or her professional responsibility. Upon request, the district discloses education records without consent to officials of another school district in which a student seeks or intends to enroll. Also the district discloses "directory data" without consent, unless the parent notifies the district that it may not be released without prior parental consent. The right to file a complaint with the U. S. Department of Education concerning alleged failures by the District to comply with the requirements of FERPA. The name and address of the Office that administers FERPA is: Family Policy Compliance Office, U.S. Department of Education, 400 Maryland Avenue, S.W., Washington, DC 20202-4605. When driving your car, always be alert and aware of students coming to or leaving school. Students are told to make themselves visible, Whether picking up or dropping off, any picking up or dropping off needs to be done with your vehicle pulled over to the right. No vehicle is to stop in the left lane for the purposes of dropping their student off or picking their student up. If there is not space to pull off to the right, vehicles in the left lane need to keep moving and if necessary pull back into the loop again. The area between the parking lot and the middle school, basically in front of the handicap stalls, is not an area to drop off and pick up. It is for pedestrian traffic. Traffic needs to keep moving. Do not sit at the stop sign and wait until a spot opens in the line. The flow of traffic needs to keep moving as there is staff and parents trying to leave and not pick up anyone. Please pull into an open spot if your picking up on the North side of the building (this is the football field side). Many times there are several open spots open and people choose to wait in line causing a significant backup If students are standing in the approach of the crosswalk on Pontiac Dr by state law you must yield. Please error on the side of safety and stop to make sure they are not going to cross. Be patient. On average the traffic issues last about 15 min after school and roughly the same in the morning. If you find yourself not having enough time in the morning, please consider adjusting your arrival time to Marshall. As the weather changes, I wanted to draw your attention this month to the following information! Dressing for the Cold: As the weather gets colder we are reminded of how important it is for students to be able to enjoy the outdoors. Students are allowed to go outside after lunch during the winter months but we encourage everyone to dress for the weather! Communication with School: The Marshall Home Page, we are making improvements weekly! Check out what is going on at Marshall by visiting our home page or liking us on Facebook or Twitter @MarshallCardin2 ! It is a great way to stay connected. Drive Safely: It is an expectation of all of our Marshall Families to drive safely on campus and to follow signs and traffic patterns posted. This includes the bus loop. Our bus loop is for bus pick up and bus drop off only! Please watch for students at all times! Thank you for your support in keeping all of our children safe! Finally, your child’s achievement remains our top priority! Therefore, if you would have any needs, questions, concerns don’t hesitate to contact me or any teacher directly. March 6 Conferences - 4:00 p.m. - 7:00 p.m.
March 7 - Conferences 8:00 a.m. - 7:00 p.m.
What is bullying? Bullying is defined as any conscious, willful, or deliberate acts, or attempted acts, through the use of words, images, ges-tures or other physical actions, including electronically transmitted acts, that are intended to cause physical injury, emotional distress, property damage, or impact the learning environment. Bullying is sometimes distinguished from harassment when the behavior involves repeated incidents and involves an imbalance of power. At Marshall Middle School, we strive to provide an educational environment where every student feels safe, respected and welcomed. To achieve this goal, we believe it is important to work together with parents to fight against bullying. We understand that this problem isn’t solely contained within the school building. What happens outside of school affects what is going on in our lunchrooms, classrooms, and hallways. For example, when a conflict arises on Facebook pages, text messages, email etc..., it doesn’t go away when the student comes into the school building. Certain comments made online at night can lead to upset, angry, or nervous students at school the next day. When this happens, the last thing that the students are thinking about is science or algebra. It is the responsibility of all students, parents/guardians, and staff members who observe or become aware of acts of bullying to report these acts to the appropriate people in our school. Every one of these reports is taken very seriously and promptly investigated to determine the validity and seriousness of the incident. Parents/guardians will be notified of any complaint involving their student. If we determine that a student has participated in bullying behavior, appropriate consequences and/or interventions will be given which may include a referral to the Janesville Police Department. We can no longer look at bullying as just “kids being kids” or something that just hap-pens in school that students just need to deal with. Every student is entitled to a safe school experience. We look forward to partnering with you to make certain our schools are that kind of place! Communication is key to our success. It is an honor to serve your family and I truly appreciate the trust you put into our staff. Dress warm & eat a healthy breakfast. This will help give your child the energy they need to make it through their busy daily routine. During the winter season, some of the students are dropped off at school a ½ hour to an hour before school even starts without having a chance to grab a warm breakfast at home. than 10:00 am. If you ever have any questions, please call my direct line @743-6208.
learning is accomplished with as few distractions as possible. Students who are appropriately dressed for the school day assist in maintaining this kind of environment. people to pick up students, must be made in advance of the student leaving. THIS IS A SCHOOL DISTRICT POLICY. must have a signed parent consent form on file. If we do not have the consent form, we will call home and the parent will need to come to school and administer the medicine to his/her student. All prescription medicines must be accompanied by a signed doctor's form AND a parent consent form. with a signed permission form. Office to sign in and receive a visitor’s pass. All visitors must stop in the Main Office to sign in and receive a visitor’s pass. If you are taking your child out of school before 3:23 pm please either call ahead or send a note of excused absence with your child in the morning to the Attendance Office. ALL students must be signed out in the Attendance Office. BE SAFE-Devices MUST be powered OFF in Locker rooms and restrooms. You MUST follow the Acceptable Use Policy for Internet Access and Safe Use in ALL areas of the building. You MUST use School District of Janesville Wireless Network. BE RESPONSIBLE-Know each classroom’s expectations for cell phone use and follow appropriately. Use device during passing time and breakfast/lunch periods. Use in hallways is acceptable. A couple of years ago, I wrote the following post about holiday stress. I thought it was a good time to share it again with you all. I hope you can all find joy in the holiday season! Feeling stressed? It would not be surprising! During December, it’s hard to avoid the intensity of the holiday season – whether you celebrate or not. Psychologists tell us that anxiety can exist within systems of people, not just individuals, so that even if you are not particularly stressed out yourself, you can absorb the stress that’s in the environment. And so can children, of course, which makes a difficult situation in our classrooms. The most important strategy to combat the holiday pressure is to recognize the extra stress and try not to let it take over the classroom. Children will have a lower tolerance for frustration, they will be triggered more easily, and you will likely have less patience. Here are some practical suggestions for having a peaceful, and hopefully productive holiday season in your classroom. Slow down. Leave extra time, especially for transitions which are likely to trigger conflict. Have group relaxation moments. Quiet the class down and lead the children through your favorite breathing exercises. Have them relax their shoulders and legs, and visualize a peaceful place. You don’t need more than a couple of minutes and this is especially effective first thing in the morning, right after lunch or recess, and before packing up at the end of the day. Observe your children for signs of agitation – nail biting, tapping, rocking, facial changes, etc. When you see this, try to redirect them for a minute or two by getting a drink of water, stretching, or just a pat on the back. Remember the acting out cycle and don’t let the agitation build with intensity and move to acceleration phase. Keep the daily schedule consistent, even though you may have to interrupt it with more assemblies, parties, visitors, etc. Monitor your own tone of voice. Smile frequently, even if you don’t feel like it, and keep an eye on the tension in your own body. Take more frequent breaks if you can. If you are working with another teacher, make an effort to give each other quick breaks throughout the day. Take the children outside. In northern climates, children get less time outside as we move through December. Their need to move, breathe fresh air, and feel the freedom of outdoor play is decreased just when the stress increases. Even though it might be getting cold, be sure to give the children time outside. Have some fun with your children! Plan some movement games, special story readings, creative art projects, or songs to build community and remind the children that school can also be joyful. event that benefits many families and children in the area. Please remember there are no cash purchases; all money must be deposited into lunch accounts by 10:00 a.m. Lunch money must be placed in the lunch deposit box in the main office or in the cafeteria. Students may bring money in an envelope from home, which should include the student’s full name, amount enclosed and grade. Helpful Hint: If your student brings money in an envelope from home, they do not have to wait in line to put it in the box. Below is a partial list of products/brands participating in this program. Simply remove the Box Tops for Education symbol and have your child put them in the box in the Student Services office. Money raised will be used to provide quality pro-grams for all students at Marshall. Thank you for your support.! This club is open to all Marshall Students. Rec Nite, although held at Marshall, are sponsored and operated by Janesville ‘s Leisure Services. They are in charge of supervision and policies related to Rec Nite. There are always several paid Leisure Services staff members at Rec Nite and parent volunteers are always encouraged to help out. Please contact Leisure Services if you would be able to help in the future. Questions? Please call 755-3030. The price to attend Rec Nite is now $6.00. Rec Nite goes from 7-9:00 PM. Please be sure to pick up your student at that time. NO REC NITE IN FEBRUARY!!!! “The school district must locate, identify and evaluate all resident children with disabilities, including children with disabilities attending private schools, regardless of the severity of their disabilities.” The school district has a special education program to locate and screen all children with suspected disabilities who are residents of the district and who have not graduated from high school. Upon request the school district will screen any resident child who has not graduated high school to determine whether a special education referral is appropriate. A request may be made by contacting Kimberli Peerenboom, Director of Pupil Services for the School District of Janesville at 743-5061, or by writing her at 527 S. Franklin St., Janesville WI 53548. On days when school is in session but weather has progressively gotten worse, cancellations for after school or evening athletics or extracurricular activities will be announced by 2:00 p.m. on WCLO radio that day. Infinite Campus will serve as our primary means of notification. Under the “No Child Left Behind Act of 2001” federal law schools receiving federal Title I funds are required to notify parents of their right to ask for and receive information on the qualifications of their child’s teacher(s). Specifically, you have the right to request the following: Whether your child’s teacher has met state qualification and licensing criteria for the grade levels and subject areas in which he or she teaches. Whether your child’s teacher is teaching under emergency or other provisional status through which state qualification or licensing criteria have been waived. The baccalaureate degree major of your child’s teacher and any other graduate certification or degree held by the teacher. Whether your child is provided services by instructional aides and, if so, their qualifications. All teachers in the School District of Janesville have a bachelor’s degree and a large percentage have advanced degrees. In addition, all instructional aides meet current school district qualification. You can check on the state certification of your child’s teacher by accessing the Wisconsin Department of Public Instruction website (user name “view” password “1234567”) at http://www.dpi.state.wi.us/dpi/slsis/tel/lisearch.html or by contacting us at 743-6005. The open enrollment application period for the 2019-2020 school year is from February 4, 2019 – April 30, 2019. Parents are encouraged to apply on-line at dpi.wi.gov/open-enrollment. Although on-line application is recommended, paper applications may be ob-tained from the Department of Public Instruction or any school district after February 4, 2019 and must be delivered (hand-delivery is recommended) to the nonresident school district during the application period. Paper applications to attend Janesville must be submitted to the Open Enrollment Specialist in the New Student Enrollment Office no lat-er than 4:00 p.m. on April 30th (a postmark does not constitute timely submission). Applications turned in prior to February 4th will be returned as not valid and must be re-submitted after February 4th but before April 30th at 4:00 p.m. If you wish to apply to have your student transferred/placed in another school within the district next school year (2019-2020), please ask the school office for a School Transfer/Placement Within the School District Form (yellow). Completed forms will be accepted from December 1 through December 15, 2018 only. Submit your Request for School Transfer/Placement Within the School District Form (yellow) to your home school attendance area office. Parents applying for a Request for School Transfer/ Placement Within the School District will be notified of approval or disapproval by January 15, 2019. Parents applying for a Request for School Transfer/Placement Within the School District for incoming Kindergarten students will be notified of approval or non-approval after they have enrolled their child during the Kindergarten Enrollment period with the New Stu-dent Enrollment Office. If you have questions, please contact the school office of your home school attendance area. 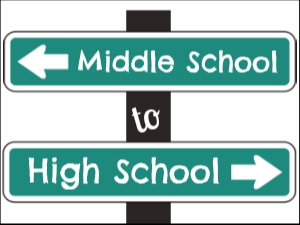 If you will be moving from your current home address, please contact Marshall Middle School office at 743 - 6226 as soon as possible to determine what paperwork you will need to fill out for your child to continue attending his/her current school. Please note: if you are moving to an address outside the School District of Janesville in most cases your child is eligible to continue attending the School District of Janesville as long as you complete the appropriate paperwork within the required timeline. If you have a child turning 5 (five) years old prior to September 1, 2019 and they are not cur-rently enrolled in a School District of Janesville Pre-school for Janesville (P4J) or Early Child-hood (EC) program it is time to enroll in the Janesville Public School District. Enrollment will take place at the Educational Services Center located at 527 S. Franklin St. (administration building) in the New Student Enrollment office. You may enroll anytime during the two week period. If you cannot attend the enrollment period please come in as soon as possible to enroll after December 14, 2018. Enrollment in the district is required for participation in orientation. When you enroll, you will need your child’s birth certificate for proof of age, proof of residency (top por-tion of a utility bill, or current lease) to determine school assignment, immunization records and photo identification. If you have questions on general enrollment, please contact the New Stu-dent Enrollment office at 743-5072 or 743-5153 during regular office hours, 8:00 a.m. – 5:00 p.m.
Requests for School Transfer/Placement within the School District (yellow forms) for incoming kindergarten students should be submitted through the enrollment process. Forms are available at all schools, as well as at the Educational Services Center. If you have questions regarding this process contact Deen Hartley at 743-5152. The status of requests will be determined by January 15, 2019 if they are turned in by December 14th. If you have a student currently at-tending a school under a School Transfer/Placement within the School District, it does not automatically qualify your kindergarten student for attendance at the same school; however, siblings are generally assigned to the same school. In order for your kindergarten student to at-tend the same school as a sibling, you must submit a request during the Kindergarten Enrollment time frame. All School Event Coming to You… 5th ANNUAL CARDINAL COLOR-A-THON June 7, 2019 2-3 PM 3K Walk/Run Register at https://mydonatezone.com Encourage your student to take part in this awesome fundraising event at Marshall! There will be a DJ and an After Party with more color! This healthy and fun event will raise funds for Classroom Technology and Supports. This year has certainly gone by quickly! As we approach the end of the school year there are several important dates you may want to make note of. Of course if we can be of any assistance to you between now and the end of the school year do not hesitate to call. I can be reached at 608-743-6205. Navigating the pick-up and drop-off traffic at Marshall Middle School can be challenging and frustrating at times. I wanted to take another opportunity to share helpful information to our Marshall Parents and Community to help try to ease the congestion of these times and help everyone be as efficient as possible with their time at the beginning and end of the school day. ● Any picking up or dropping off of students on school grounds needs to be done with your vehicle pulled over to the right. No vehicle is to stop in the left lane for the purposes of dropping their student off or picking their student up. If there is not space to pull off to the right, vehicles in the left lane need to keep moving and if necessary pull back into the loop again. ● The area between the parking lot and the middle school (basically in front of the handicap stalls) is not an area to drop off and pick up. It is for pedestrian traffic only. ● Traffic needs to keep moving. Please do not sit at the stop sign and wait until a spot opens in the line. The flow of traffic needs to keep moving. ● When picking up on the North side of the building (this is the football field side), please pull into an open spot as you’re waiting for pick-up. Many times there are several spots open further up the line and people choose to wait in line causing a significant backup down by the tennis courts. ● If students are standing in the approach of the crosswalk on Pontiac Drive, you must yield to the pedestrian, as mandated by State Law. Please error on the side of safety and stop even if you aren’t sure if they are going to cross. In conclusion, we thank you for your patience. On average the traffic issues last about 15 min after school and roughly the same in the morning. If you find yourself not having enough time in the morning or afternoon please consider adjusting your arrival time to Marshall, or consider picking-up and dropping-off your student off-campus in a location that is close to Marshall. ● Remember that the cafeteria opens at 7:30 am for breakfast club each morning. With that said, please dress appropriately and wait patiently until a staff member opens the door. ● Please help keep Marshall clean by putting trash in the proper places, especially in the cafeteria, hallways, and in the courtyard. We have many staff members here at Marshall that keep the building clean, yet your help with this is needed and greatly appreciated. ● Remember our school rules regarding appropriate technology usage while at school. Technology can be a great asset to your overall educational experience, however, if you are misusing the technology it can be taken away! ● Make every effort to be on time and prepared for your classes. Also, remember to travel through the hallways by walking with purpose, and being mindful of others around you. I wish everyone a productive rest of the school year and thank you very much for your help with ensuring Marshall is a great place to learn. Go Cardinals! The last day to checkout books, magazines, and/or DVD’s is May 17, 2019. All Materials need to be turned in by May 24, 2019. 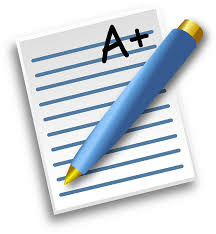 Fourth Quarter Report Cards Report Cards will be mailed home in June. Please check Infinite Campus on a regular basis to stay informed regarding your student(s) grades. If you have concerns regarding your student(s) grades, please follow up with that specific teacher. The last day of the school year for students is June 11, 2019. After teachers leave for the summer break, any concerns you have will be addressed in the fall. The Possession of cellular phones is permitted on school grounds. Phones MUST be TURNED OFF and kept in your locker unless asked to use for a class. This policy will be enforced during the normal school hours (8:00 AM - 3:23 PM). Students not meeting these expectations will have their phone taken away and kept by school administration until a parent comes into school to retrieve it. When you come to Marshall to bring something for your child, sign your child out of school, want to speak to a staff member or for any other reason the procedure remains as follows: 1. Ring the doorbell by door #23, 2. Please face the camera 3. Please state your name, your students name and the reason for your visit 4. You will be either directed to the Attendance Office, to sign out your student, or to the Main Office to sign in and receive a visitor’s badge. If you are taking your child out of school before 3:23 please either call or send a note of excused absence with your child in the morning to the Attendance Office. If you do not follow this procedure there may be a wait while we locate your child and they get to the office to leave the building. ALL students must be signed out in the Attendance Office. Thank You so much for following this procedure. When calling your student out of school for an illness, giving permission to leave school for an appointment or for a tardiness, please SPELL the LAST NAME FIRST, then the FIRST NAME, followed by the grade, and reason for absence. When writing notes for students absences or for a student to leave for an appointment, please include the student’s first and last name, their grade, and the reason for leaving school. Remember, if the last name is different from the parent/guardian please include the student’s last name. No student will be allowed to leave the school to walk home, ride his/her bike home for an appointment. All students must be signed out by a parent/guardian. Arrangements for others to pick up must be made prior to the time the student is leaving school. This is a School District Policy. We do not stock any any over the counter medicines. If you wish to send cough medicine, ibuprofen, Tylenol, or any over the counter medicine, the medicine must be in the original bottle and the Attendance Office must have a signed parent consent form on file. If we do not have the consent form, we will call home and the parent will need to come to school and administer medication to his/her student. All prescription medicines must be accompanied by a signed doctor’s form AND parent consent form. These forms can be obtained in the Attendance Office. We are not permitted to accept any other form. School District Policy requires all medications whether over-the-counter or prescription to be only given out with a signed permission form. Finally, if your child is sick, please tell them to come to the Attendance Office and call home. They are not to call home from classroom phones or using their cell phones. We hope you will take advantage of the programs available at the district’s elementary, middle, or high school levels. Our registration/enrollment process this year will be completed in two steps. Step One: Complete Registration by logging onto our website www.janesville.k12.wi.us beginning on April 1st. Parents must complete the registration process in order to enroll students into courses and will need to know their student’s Infinite Campus Student ID number to register. Step Two: Enroll your student into courses beginning on April 8th. Enrollment into courses is on a first-come, first-serve basis. Students are enrolled into courses according to their fall 2019 grade level. For example, a student completing 6th grade will enroll in 7th grade summer school courses and is not eligible for 6th grade courses. This letter is to inform you of a new accountability report every school district and school building in the State of Wisconsin will receive in addition to our school district and our school building report card. The new accountability report is titled the Joint Federal Notification Packet. This packet fulfills two federal laws: the Every Student Succeeds Act (ESSA) and the Individuals with Disabilities Education Act (IDEA). The new packet helps us see where we need to improve to achieve our vision for all students. Here at Marshall Middle School, we are using this information in the packet to refine our school improvement plan. Specifically, we aim to improve Academic Achievement and Attendance for Black students. As you know, our goal is to make sure all our students graduate from the School District of Janesville ready for college, career, and life. We value your input as a parent and education supporter. If you are interested in reviewing the new federal notifications, you can access further information here on the DPI website. Please feel free to contact me if you have any questions about our results. Thank you for helping us to support your student in their learning! It's hard to believe that I am writing the last newsletter of the 2018-2019 school year. My great Kitchen staff and I have really enjoyed serving all the students this year. It was fun and we really got to know a lot of the kids during their lunch hours. We are proud of what we serve the kids and we try to accommodate everyone to make them happy. The Healthy Hunger Food Act has had an impact on the amount of vegetables and fruits that the students are incorporating into their daily diets. Our goal is to make this an everyday meal pattern. Just a few other details you should know about….. -We are serving over 200 students for breakfast everyday -We prep for at least 650 lunches to be served daily -Fuel Up To Play is a educational program that teaches students to be active for at least 60 minutes a day This summer, any students 18 and younger can receive a free lunch at any school sight, including the Hedberg Library and at Bond Park. Each school will have posted the hours of serving. I will be serving at Bond Park over the summer from 11:00 until 1:15, so it would be nice to see your smiling faces if you are in the neighborhood. Thank You again for a great year. Remember to Stay active over the summer and eat right. When the National Weather Service issues a tornado warning, it means that an actual tornado has been sighted by a trained spotter or a radar reading shows conditions are right or imminent for a tornado to develop in the immediate area. When a tornado warning is issued for the immediate Janesville area, the emergency sirens will be activated. Twice each school year, Marshall Middle School practices the response the school would use if an emergency siren is activated for a tornado warning during the school day. Marshall Middle School has designated safe areas for all students and staff to go to when a tornado warning is issued. Because all doors to Marshall Middle School are secure during the school day, they will remain locked during a tornado warning. Staff are not encouraged to respond to door buzzers, knocks on doors, or phone calls, but rather to remain in their designated safe zone until the tornado warning is canceled. We also encourage parents and family members of students to seek safe shelter during a tornado warning. Parents or family members should not come to Marshall Middle School during a tornado warning to pick up their child. Once the tornado warning is canceled, Marshall Middle School will return to usual operations. At that time, staff will be able to respond to door buzzers and phone calls. Thank you in advance, for working with Marshall Middle School to keep your child safe during a tornado warning. 2018-19 School Year we had a contest between our Advisory Groups and we collected 2,504 Box Tops and earned $ 250.40. A big Shout Out to Mrs. Ames for keeping count of all the box tops. Keep clipping over the summer so when we start the 2019/2020 school year we can surpass the previous year. Thank You! Simply remove the Box Tops for Education symbol and have your child put them in the box in the Attendance Office. Money raised will be used to provide quality programs for all students at Marshall. Thank You for your support ! - General Mills Products - Scott, Hefty, Bisquick, Ziploc, Viva, Kleenex, Nature Valley, Huggies, Old El Paso, and Cottonelle. WILL YOU BE MOVING THIS SUMMER? If you will be moving from your current home address, please contact the Student Service Office 743-6226, as soon as possible, to determine what paperwork you will need to fill out for your child to continue attending his/her current school. Please Note: if you are moving to an address outside of the School District of Janesville in most cases your child is eligible to continue attending the School District of Janesville, as long as you complete the appropriate paperwork within the required timeline. If you have any questions about school placement for a particular address, please contact New Student Enrollment Office at 743-5153 or 743-5072. Open Enrollment Specialist Deen Hartley, can also assist you. Her number is 743-5152. The Administrative Services Office is open year round.